The Sidhi Astu Orphanage was established in 1958 and started with only 10 children. Four Franciscan Sisters, along with four paid staff and several other volunteers, run the orphanage. Currently, the orphanage is supporting a total of 106 children of which 67 of them are living in the orphanage. Many of the children are orphans, however there are children who live at the orphanage because their parents are too poor to support them. Over the years, Lakers Tavern have helped with school fees, rebuild of the kitchen and bathroom, education expenses and many other items. If you would like to know more or to make a donation please visit our website or Facebook page. Located at Sutherlands F Reserve, Gay Street, Huntingdale - Huntingdale Junior Football Club caters for Aussie Rules junior footballers from Pre Primary to Year 12. We are family oriented club dedicated to providing our junior footballers with a happy, fun and safe environment to learn and play AFL. 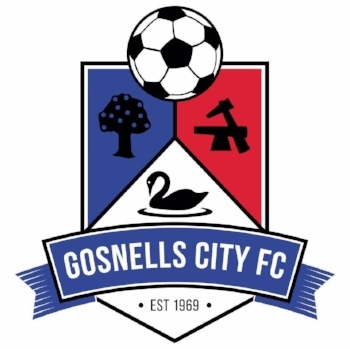 Gosnells City FC was established in 1969. Through it's many name changes our continued aim has been to promote the game of football in the community, whilst encouraging our players, coaches, managers and parents to develop an appreciation and enjoyment of the game and its skills. Thornlie Hawks Ladies Softball Club has been running since 1984 and over the past 29 years we have had nearly 400 ladies play for us each season/ We have had many grades make grand finals and have won plenty of premierships. Our club grows every year, but our core values have always stayed the same - we are a family based club and we have many generations of the same family playing for the club, but new players are always welcomed with open arms. We have grades from C grade all the way up to the higher side with A grade, we also have juniors teams available. Our club this year has 14 teams from netta right through to open. We have been very successful in recent years winning grandfinals in both the winter and spring seasons. Several of our players have been selected to represent SDNA at the 2018 Smarter than Smoking Association Championship. We also have several players in the Demons squad. Some of our girls have been presented with their 100 games awards. We are a club run by parents and also have younger players involved with the coaching and umpiring of our teams. Kotahi Sports Club was formed back in 2014 as a Friday night social softball team. Kotahi means "together as one" and our club values strongly revolve around us being as one and one big Whanau (family). Our club is dominantly a women's softball club consisting of both junior and senior teams with members aged from 8 and up. Our teams currently play during the summer season (October-March) at SEMSA in Parkwood and DDMSA in Langford whilst also participating in various carnivals throughout the year.